DISCOVER KARATE AND DISCOVER A NEW, IMPROVED YOU! If you could find a fitness class that promised to give you a killer, head-turning body, improve your spirits and boost to your health without having to lift backbreaking weights or being forced to train like a marathoner, would you want to know about it? Guess what…you can get all that and more when you take the Adult Karate classes at Thurston’s MMA. And on top of all the great benefits you’ll enjoy when you take Karate classes at Thurston’s, you’ll learn critical self-defense skills that could save your life! It doesn’t matter if you’ve never taken a single Karate class before or if you’ve already worked your way through a rainbow of belt colors, we guarantee our adult Karate classes will give you exactly what you’re looking for—whether it’s a quick and easy way to lose weight, a stronger, more muscular physique, lower blood pressure or the flexibility of an Olympic gymnast. Whatever it is you want to achieve, you can get it all when you take adult Karate classes at Thurston’s! A HEALTHY BODY. A PERFECT MIND. A FLAWLESS CHARACTER. 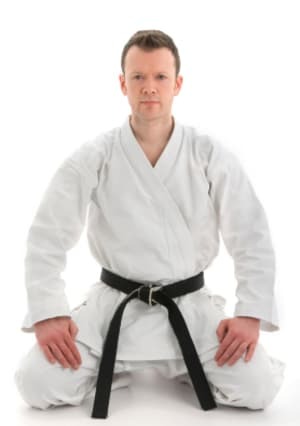 When you take Adult Karate classes at Thurston’s, you’re guaranteed to be more healthy, look more fit and feel better than you ever have before. What’s more, you’ll also be strengthening your mind and developing important skill sets that will help you think more clearly and make better decisions. And as you strengthen your body and mind, you’ll be learning time-tested self-disciplinary skills that only Karate can offer, giving you a flawless character. GET FIT. GET STRONG. GET STARTED FOR FREE. When you take Adult Karate classes at Thurston’s MMA, you’ll have a blast as you learn to chop, kick and punch your way to perfect health! But here’s the best part...you can try our adult Karate classes, absolutely FREE, without risk or obligation of any kind. And if you decide you want to continue, you’ll enjoy limited-time new member discounts when you enroll before the end of this month. Getting started is easy...just fill out the brief, no-obligation contact form on this page, and we’ll send you everything you need to take advantage of this special FREE offer. And remember, we’ll lock-in your low new-member rates when you respond before the end of this month! Don’t wait—get started today and discover all of the benefits that Thurston’s adult Karate classes have to offer!